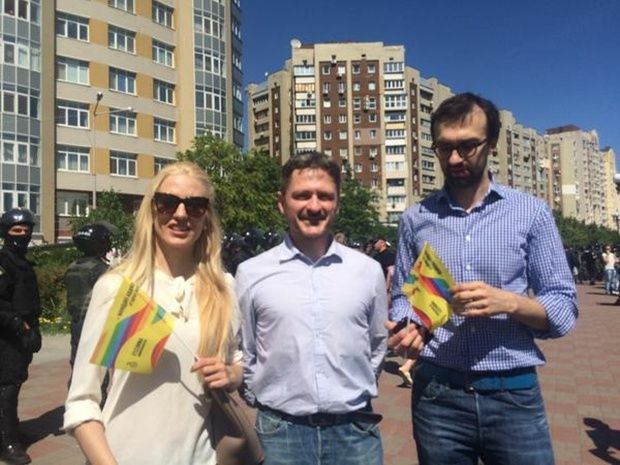 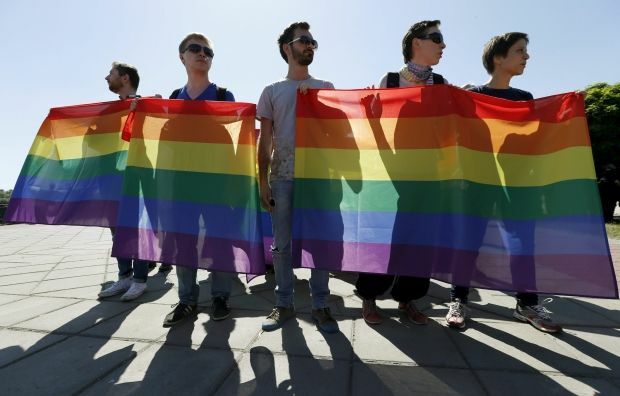 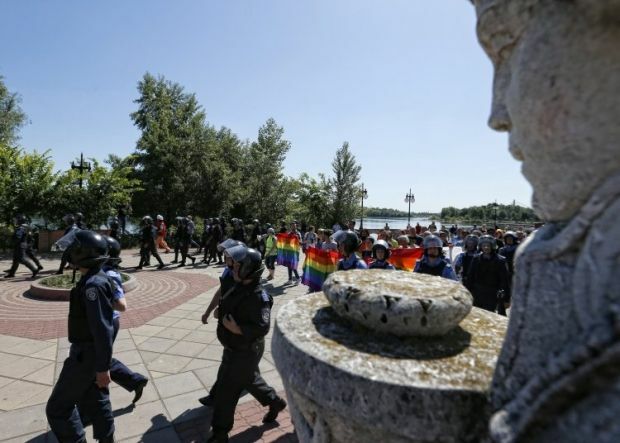 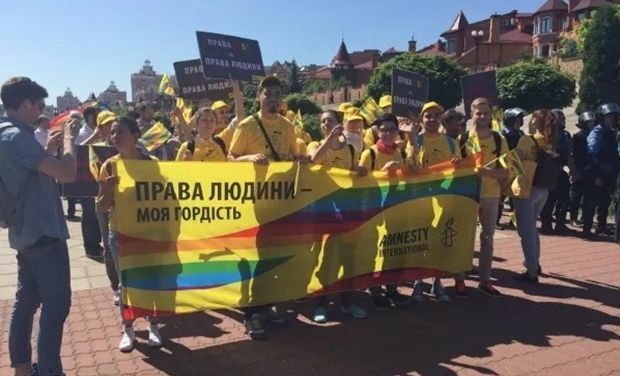 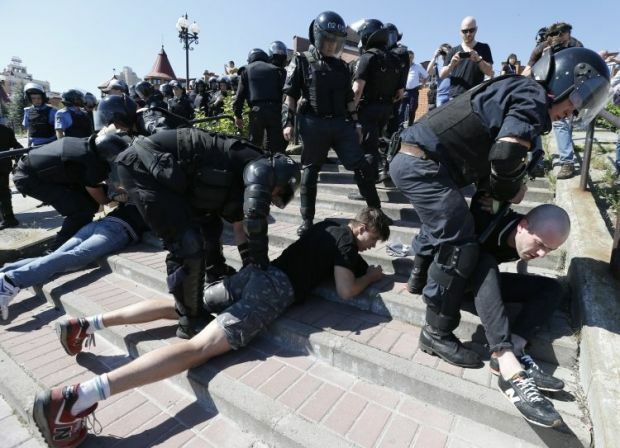 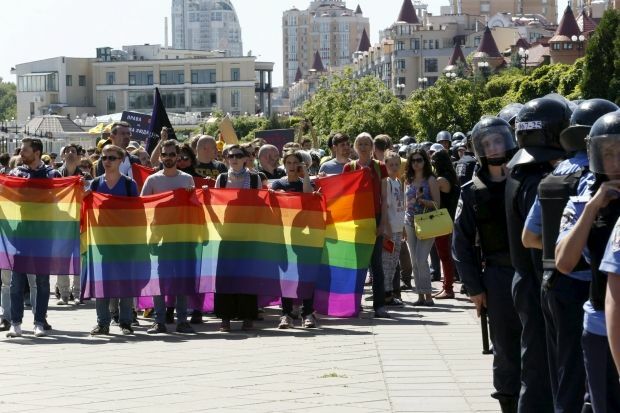 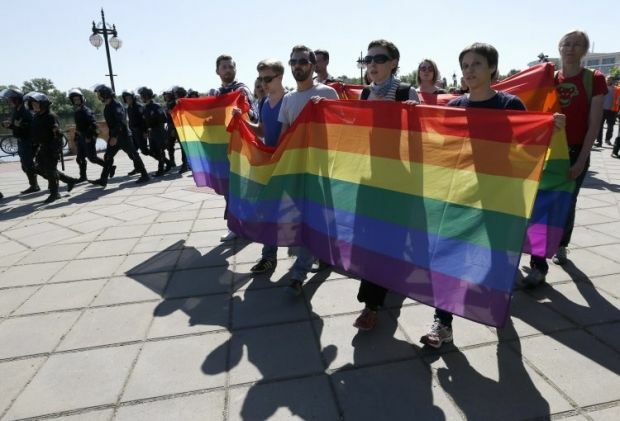 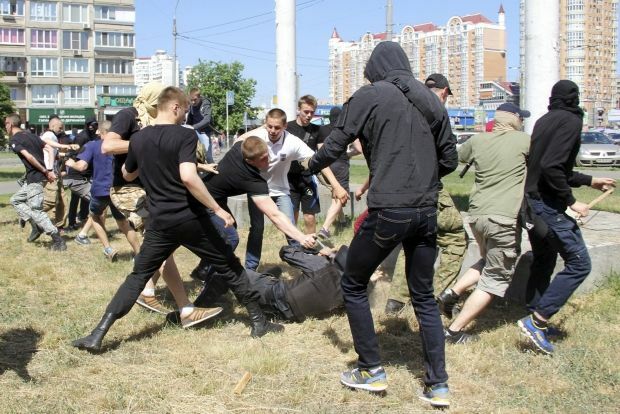 Representatives of the local LGBT community tried to stage a Ukrainian gay pride march, KyivPride 2015, along Kyiv's Obolon esplanade on Saturday morning. 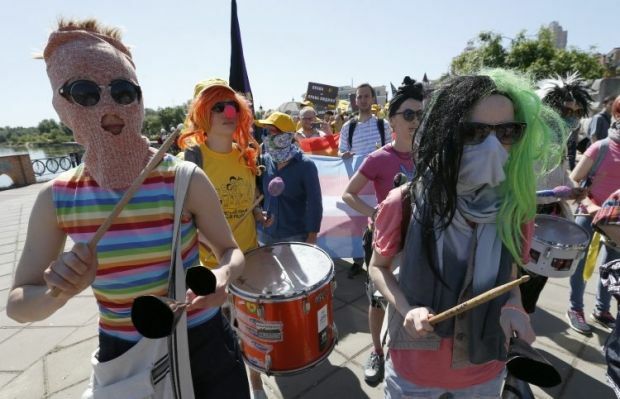 At the beginning of the march, about 30 aggressive young people, who came to the site of the gathering of participants in the event, attacked members of the gay pride by spraying tear gas and throwing smoke bombs and firecrackers. 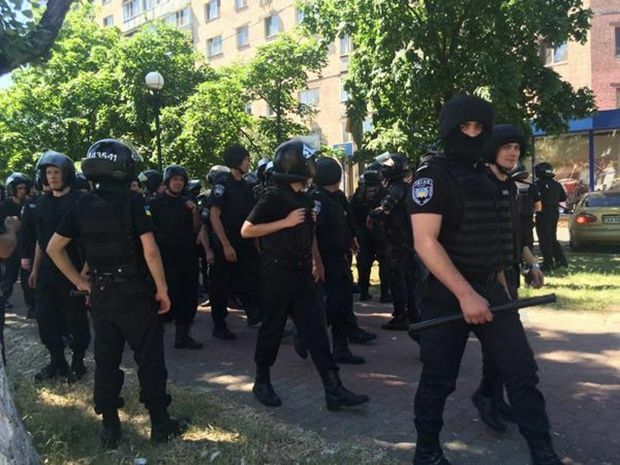 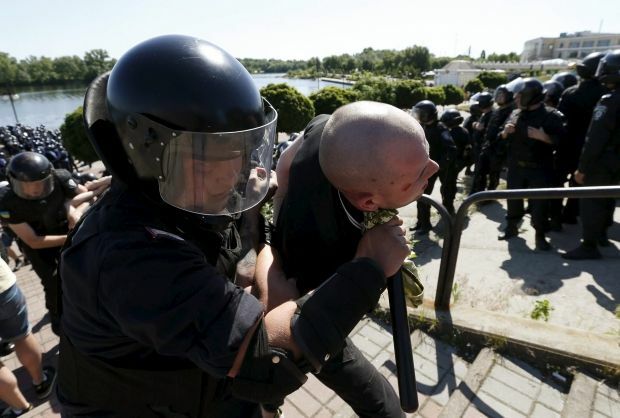 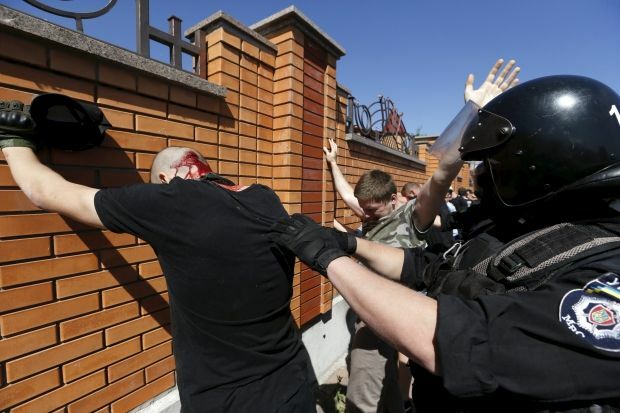 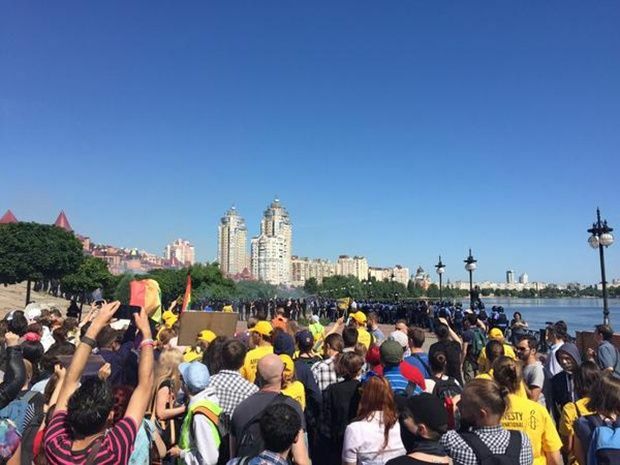 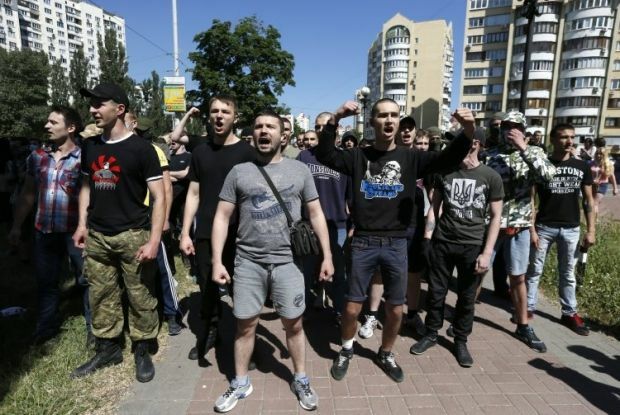 Police officers formed a cordon and prevented open clashes between the marchers and the KyivPride opponents. 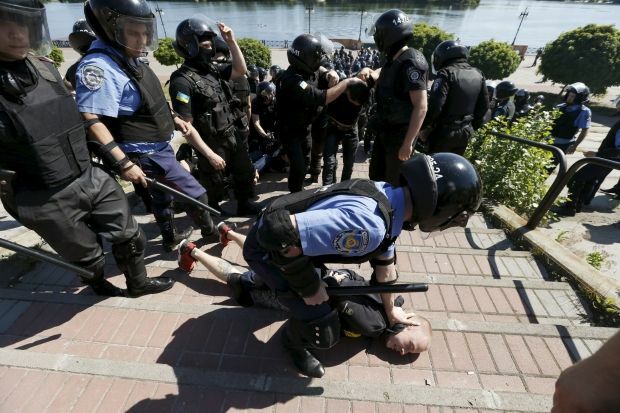 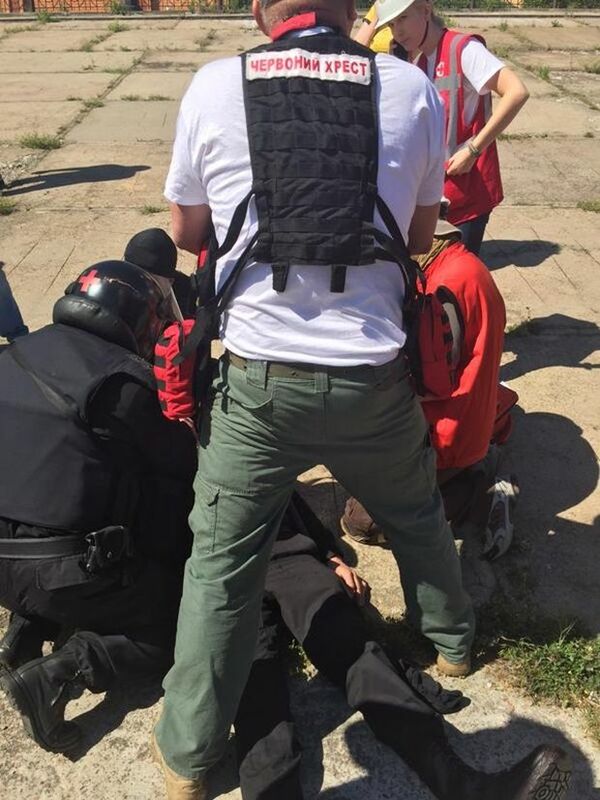 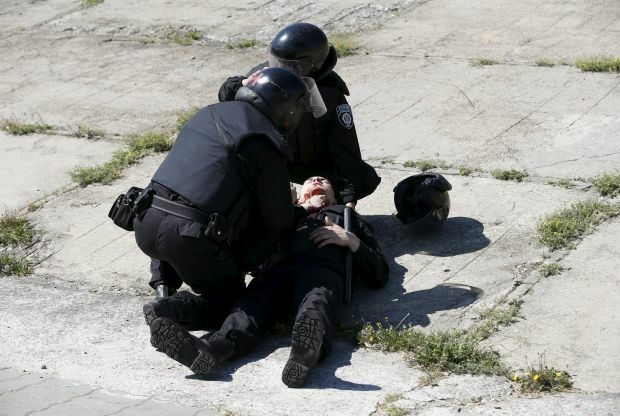 Nine police officers were injured during the event, the media liaison office of the Ukrainian Interior Ministry's main department in Kyiv told UNIAN. 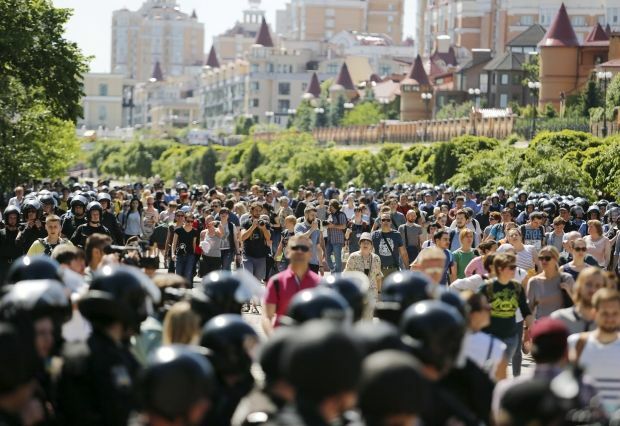 "During the scuffles, nine police officers were injured, one of them is in serious condition with a neck wound," the department said. 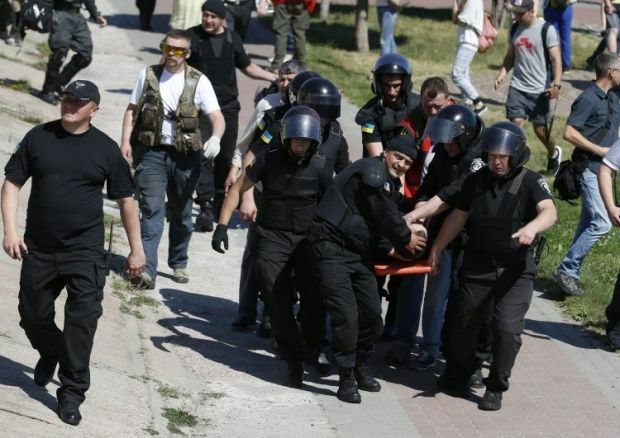 Earlier reports mentioned five injured police officers. 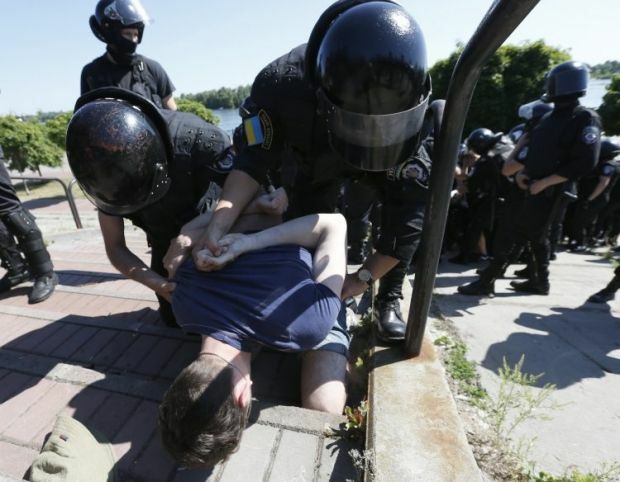 Twenty-five people were detained on the scene for offences. 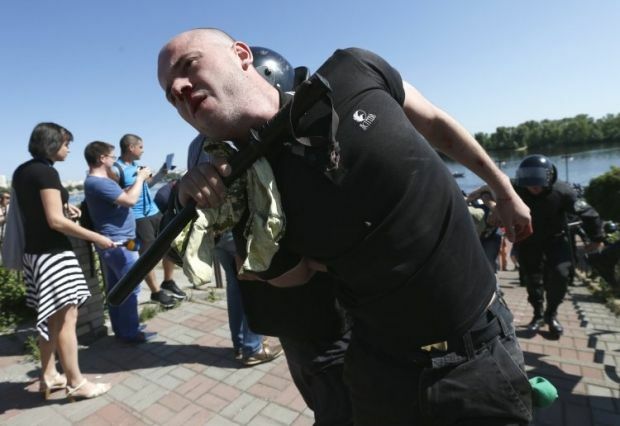 They had firecrackers, screwdrivers, knives and other dangerous items. 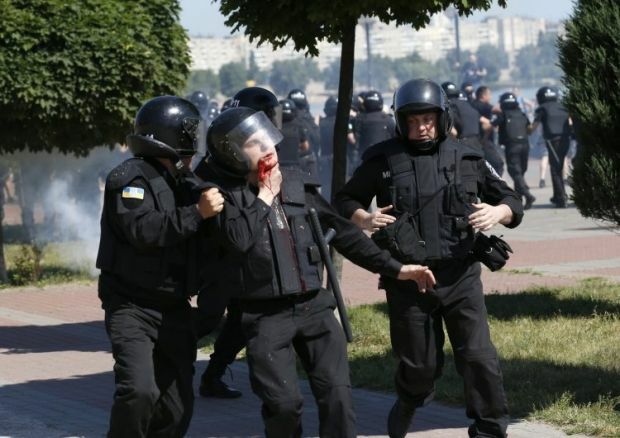 Criminal proceedings under Part 4 of Article 296 of the Criminal Code of Ukraine (hooliganism) were launched.